How do you plan a genocide? Who first came up with the idea? Who organised the weapons and trained the militia groups? How many people knew beforehand that it was going to happen? "Although we cannot reconstruct the unimaginable scene, we do know that the decision made to commit genocide in Rwanda followed the kind of pattern we see in the German implementation of the Holocaust: the Rwandan genocide was the result of plans and preparations formulated essentially by collective decisions." In my journey through Rwanda I encountered many of the killers: the genocide was a crime of mass complicity, one could hardly avoid meeting people who had been involved. They stood at every roadblock, at every army encampment; they loitered around every municipal building. A few gave the appearance of being truly psychopathic individuals. The mass of others were ragged and illiterate peasants easily roused to hatred of the Tutsis. Perhaps the most sinister people I met were the educated political elite, men and women of charm and sophistication who spoke flawless French and who could engage in long philosophical debates about the nature of war and democracy. But they shared one thing in common with the soldiers and the peasants: they were drowning in the blood of their fellow countrymen. “I have read that after each genocide historians explain that this will be the last. Because no one could again allow such an infamy. That is an amazing joke. Those responsible for the Rwanda genocide are not poor ignorant farmers, no more than they are ferocious and drunken interahamwe – they are the educated people. They are the professors, the politicians and the journalists who expatriated themselves to Europe to study the French revolution and the Humanities. They are those who have travelled, who are invited to conferences and who have invited Whites to eat at their villas. Intellectuals who bought themselves libraries reaching high to the ceiling. Hardly any of them killed with their own hands, but they sent people to the hills to do this job. The genocide is not really a question of poverty or a lack of learning... Learning is necessary to enlighten us about the world. But it does not make man better, it makes him more efficient. He who wishes to inspire evil will be at an advantage if he knows of man's quirks, if he learns morality, if he studies sociology. The role of the privately owned radio station Radio Mille Collines has been widely mentioned in reporting of the Rwandan genocide. 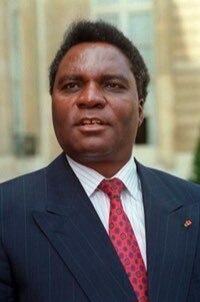 Controlled by Hutu extremists with close links to Habyarimana's family, it was also financially supported by the president. On 6 April, the day of the plane crash, Radio Mille Collines told its audience that 'Tutsis needed to be killed'. The theme was to dominate the station's broadcasts for weeks. The official state radio was only marginally less virulent, constantly calling on the Hutus to rise up and defend Rwanda against the invasion of the inyenzi, or 'cockroaches'. Several privately owned newspapers and journals were harnessed for the task of disseminating hate propaganda. As far as the training of the militia is concerned, there is abundant evidence implicating senior government ministers and government officials with responsibility for its genocidal agenda. Foreign diplomats, a few visiting journalists and human rights experts had been warning for several months about the training of large groups of armed Hutu extremists. Given the kind of hatred being spewed out on radio and in the newspapers, nobody could have doubted what the militia was being prepared for.